Thousands of Poles chanting „We will defend democracy!” and „Lech Walesa!” have rallied in Warsaw to protest moves by Poland’s three-month-old conservative government that they say undermine freedoms and the constitution. 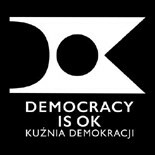 Saturday’s march was organised by the Committee for the Defence of Democracy, which was formed in November in reaction to moves by the ruling Law and Justice party that have essentially paralysed the Constitutional Tribunal, preventing it from acting as a check on new government legislation. This entry was posted on 28 lutego 2016 by D.ok in angielski.